Bitte wählen Sie ein weiteres System aus, um es mit MongoDB zu vergleichen. Unsere Besucher vergleichen MongoDB oft mit Cassandra, Elasticsearch und Microsoft Azure Cosmos DB. Lizenz Commercial or Open Source Open Source MongoDB Inc.'s Server Side Public License v1. Prior versions were published under GNU AGPL v3.0. Commercial licenses are also available. MongoDB is the next-generation database that helps businesses transform their industries by harnessing the power of data. The world's most sophisticated organizations, from cutting-edge startups to the largest companies, use MongoDB to create applications never before possible, at a fraction of the cost of legacy databases. MongoDB was also named a leader in the Forrester Wave™: Big Data NoSQL, Q3 2016. 1. The document data model - presenting you the best way to work with data. 2. A distributed systems design - allowing you to intelligently put data where you want it. 3. A unified experience that gives you the freedom to run anywhere - allowing you to future-proof your work and eliminate vendor lock-in. MongoDB Atlas delivers the world's leading database for modern applications as a fully automated cloud service engineered and run by the same team that builds the database. Proven operational and security practices are built in, automating time-consuming administration tasks such as infrastructure provisioning, database setup, ensuring availability, global distribution, backups, and more. The easy-to-use UI and API let you spend more time building your applications and less time managing your database. MongoDB Stitch is a serverless platform which accelerates application development with simple, secure access to data and services from the client - getting your apps to market faster while reducing operational costs and effort. MongoDB is the fastest-growing database ecosystem, with over 40 million downloads, thousands of customers, 1M+ registrations for MongoDB University courses, and over 1,000 technology and service partners. By offering the best of traditional databases as well as the flexibility, scale, and performance required by today's applications, MongoDB lets innovators deploy apps as big as they can possibly dream. From startups to enterprises, for the modern and the mission-critical, MongoDB is the database for giant ideas. 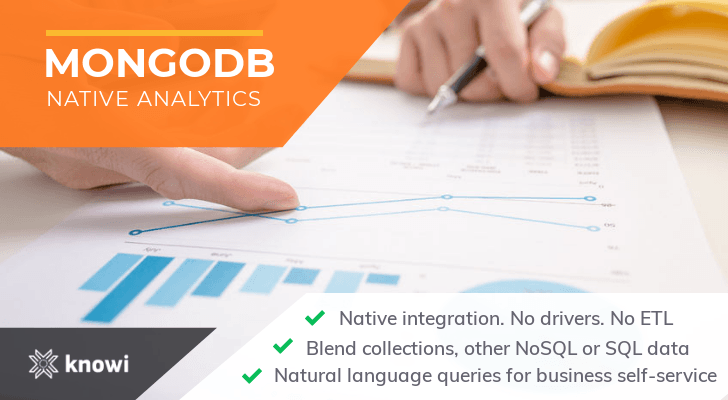 MongoDB maintains the most valuable features of relational databases: strong consistency, expressive query language and secondary indexes. As a result, developers can build highly functional applications faster than NoSQL databases. MongoDB provides the data model flexibility, elastic scalability, and high performance and availability of NoSQL databases. As a result, engineers can continuously enhance applications, and deliver them at almost unlimited scale on commodity hardware. 40 million downloads (growing at 30 thousand downloads per day). Named a leader in the Forrester Wave™: Big Data NoSQL, Q3 2016. 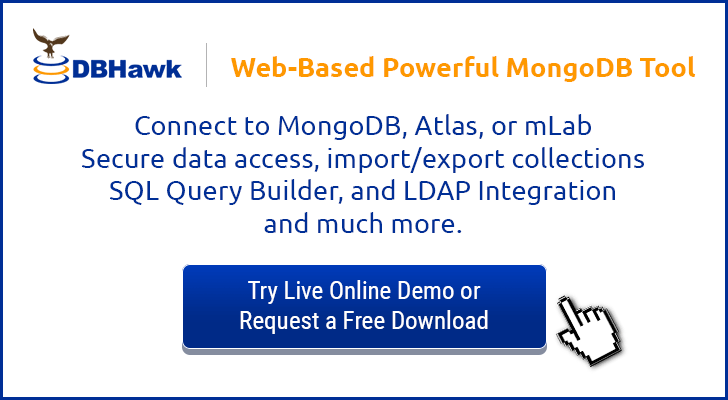 MongoDB database server: Free Software Foundation's GNU AGPL v3.0. Commercial licenses are also available from MongoDB, Inc.
MongoDB supported drivers: Apache License v2.0. Third parties have created over 30 drivers too; licenses will vary. MongoDB Enterprise Advanced is licensed per physical server, per year. Includes 24x7 support, advanced management software and security integrations, commercial licensing, certifications and on-demand training. 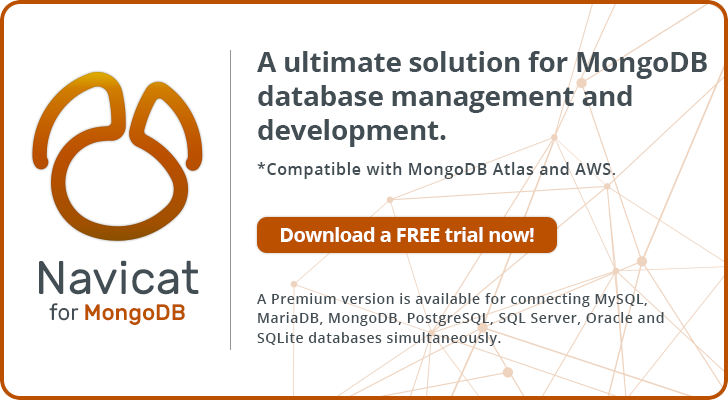 MongoDB Atlas offers a fully-managed MongoDB as a service with convenient hourly billing. MongoDB Stitch is the serverless platform from MongoDB. MongoDB Cloud Manager provides cloud-managed MongoDB on the infrastructure of your choice. 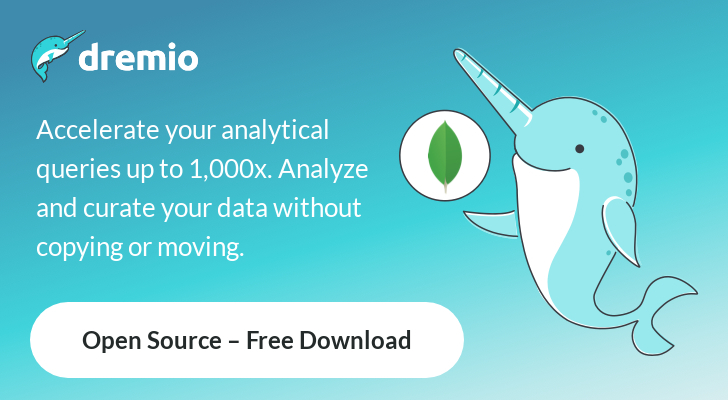 The #1 MongoDB hosting platform with advanced monitoring, high availability, and full MongoDB admin access. Host on Shared or Dedicated servers, or in your own AWS or Azure account to save up to 75% on long-term hosting costs with Reserved Instances. Plans start at $10/GB. • Which is the best MongoDB GUI?